A psychic is able to tune into a being’s energy. As every living thing gives off energy, it goes without saying that psychics can also tune into animals. Pet psychics have therefore grown more popular as many families call in their help to aid the search for their beloved missing pet. Pets have grown into members of the family for many households across the UK. The relationship we have with our pets is much different to how they view their pets in France, for example. In France, they treat pets as animals, respectfully but with a clear view to the fact that they are less intelligent than the human. In the UK, dogs and cats are pampered, allowed in the house and on the furniture. Some families even let their pets into their beds. A missing pet is therefore very upsetting for a family and some will do anything to be reunited with their furry friend. 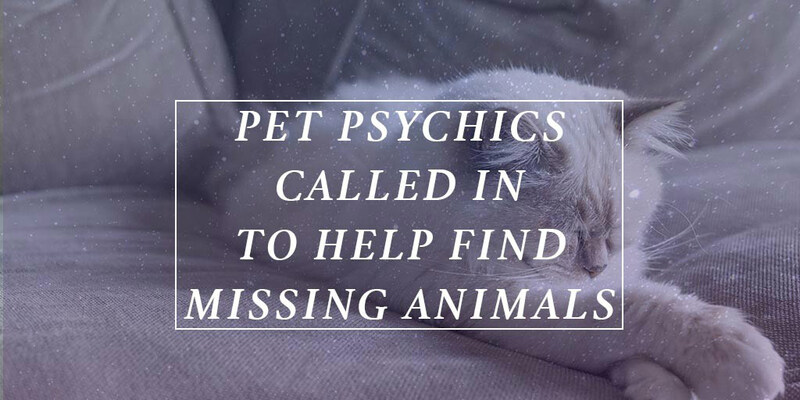 During the psychic reading, the pet psychic may use tools such as pendulums and a map to help locate the whereabouts of the pet. Like a recent case in Sprowston where a rescue cat went missing, the psychic uses items belonging to the pet such as a blanket or favourite toy to help lock into the animal’s energy fields and vibrations. The energies are triggered by emotions which like humans, animals experience. These emotions might be confusion, happiness, sadness, etc. Many cases across the UK have seen a clairvoyant called to the house. Clairvoyants are able to use their natural gift to “see” where the animal is. They can visualise certain scenes and may be able to track down the animal from the road that they see in their vision. Similarly, some mediums in their psychic readings will get in contact with their own spirit guides or angels to try and find out what has happened to the pet via this valuable source.